Lizzy has been created from a beautifully redesigned texture that completely enhances her freckled skin. She could be considered a natural redhead. The details of her mats are incredibly well crafted in order to make her appear completely natural all the way around. 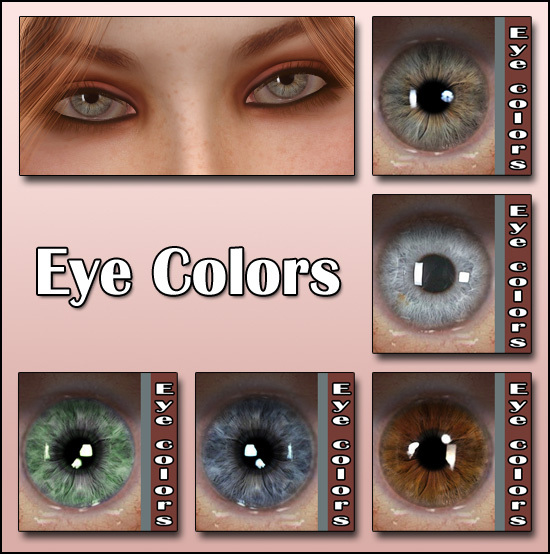 The Lizzy package contains a large assortment of options including an incredible set of six make ups designed specifically for her light tone of skin, complemented by a distinctive set of 4 different eye colors with wonderful hues and subtle natural highlights. Please scroll down the page and also click on the "Complete Details" icon in order to further appreciate this must have package. default skin tone with freckles. Image shown have slight post work. Hair is not included. incredible package and greatly enhances all its options. A set of body tonal always gives the user greater control of the skin texture and color. Images shown above have no post work. Hair is not included. A set of 10 standing body poses, simple and yet elegant were added. 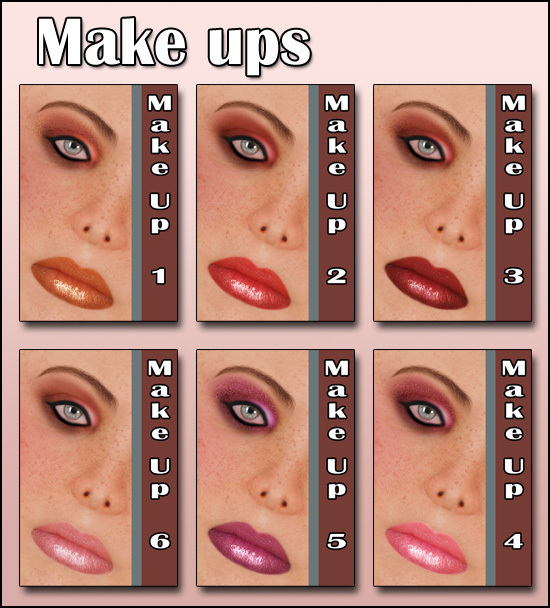 All pose options are shown.